MJ Medical has been appointed as the health planning consultant for the new An Sinh Phuc Truong Minh General Hospital in Hanoi, Vietnam. 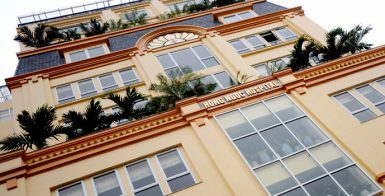 Being developed by the Hong Ngoc Hospital group, who already operate several healthcare facilities across the city, the major new hospital will consist of up to 500 beds and will be developed in a phased programme over the next 10 years. MJ Medical was engaged to develop a functional programme and capacity model for the new facility. Working closely with M Architects, they will lead the development of the phasing and master plan, and the subsequent detailed design solution for phase 1. This includes developing a design brief and operational policies that support the achievement of JCI accreditation, a key aim for the new facility. When complete the hospital will be fully integrated with the other facilities run by the group across Hanoi, with phase 1 including maternity, paediatric, oncology, and general medical and surgical services. In addition the site will include the co-location of integrated aged care facilities with a range of acuity levels.